Mold damage will often require the work of a mold remediation service. 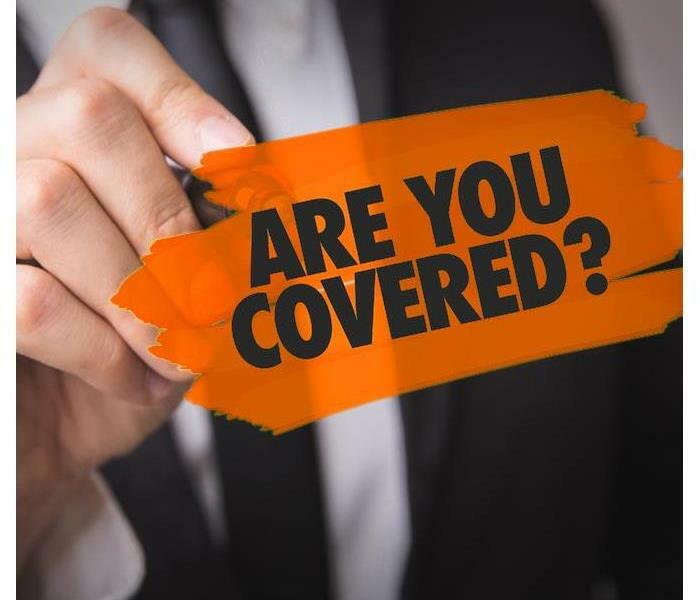 When you are taking out insurance for your Manchester, MO business, you might wonder if you really need to add mold coverage to your Pollution Liability policy. While it may seem unnecessary, it can be a good idea to have it added. Here are a few reasons why. Mold is everywhere. There are numerous species of mold that can be found both indoors and outdoors. Because of this, you can find mold growing in many buildings. If you do not have coverage, it is likely that any mold insurance claims you make could be denied. While there are some circumstances in which you may be able to file a mold claim under your general insurance, this is not always the case. Even if the claim is approved, the extent of repairs or remediation that your insurance company is willing to pay for can be very limited. If the cause of the damage does not fall under a covered peril, then they may not cover any work at all. Because mold spores can spread extremely quickly in the right conditions, it is possible that your building could suffer a lot of damage in a short amount of time. Mold can find a home inside of your walls before you’ve even noticed it. If you start to see a growth forming, it is possible that there is much more hidden where you cannot see it. It can also spread to carpets and fabrics which may then need to be replaced. If your mold insurance claims are not approved, it can be very costly to have repairs done. Mold damage will often require the work of a mold remediation service. Adding mold coverage will make it easier for you to make mold insurance claims and can save you quite a bit of money in the long run. The Disaster Recovery Teams make every effort to support the local franchises. There is one group of professional water remediation specialists that is well known for it “Faster to any disaster” responses within big cities and small towns of the United States and Canada. But did you know that SERVPRO also has a large loss response program that activates its own Disaster Recovery Teams? These teams are made up of technicians from unaffected franchises to go to communities where major storms or flooding have hit. 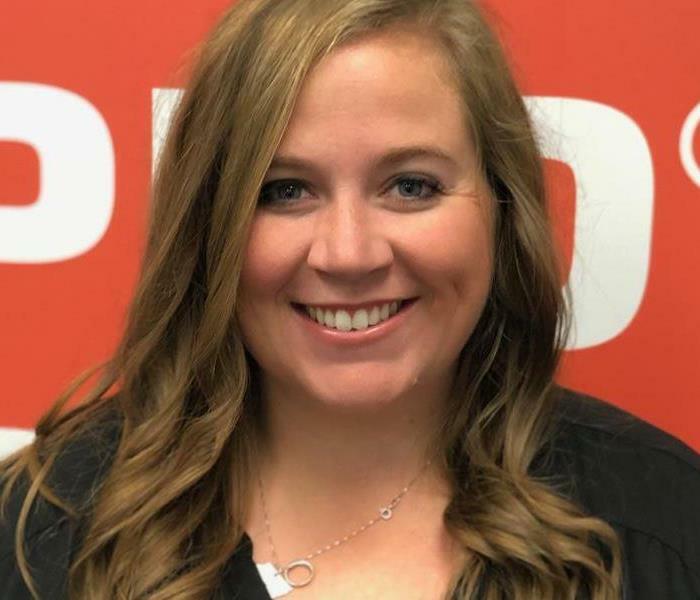 They helped following 2012’s Hurricane Sandy, for instance, to assess and mitigate situations where the catastrophic loss occurred on a large scale, and they can help the people of Chesterfield, MO as well, should it ever be needed. Falling victim to storm damage may make business owners feel that all is lost. They may not even know where to start, or whether it is possible to recover from such devastation. SERVPRO teams assist hundreds of overburdened local franchises in the affected areas in order to reach hundreds of more businesses quickly. They educate about how to stay safe around contaminated water from flooding and what can reasonably be done while waiting for professionals. They reach many more businesses that may otherwise have to wait. As a preferred provider, the teams can consult in the process of filing catastrophic losses with insurance companies. Educating people about the difference between clean, gray and black water and their health and safety implications is a priority, as is recommending things that may need to be done while waiting for help. Wearing protective clothing around floodwater and debris, and keeping people out of any seriously compromised structures may also be advised. Filing for coverage following storm damage is something that a professional water damage restoration company is trained to do and want both the business owner and the insurance company to be satisfied with services rendered. The Disaster Recovery Teams make every effort to support the local franchises in Chesterfield, MO in reaching the many catastrophic loss situations that accompany a major storm system or rising floodwaters. In many cases, especially with heaters that have been in use for a while, settlement can get into the unit and settle. Most Manchester, MO homes have a water heater. One common occurrence that seems to happen with these units are a variety of unusual sounds. Fortunately, in most cases these sounds can be easily explained. Many professional restoration services agree that the following could cause sounds from a heater, and suggest looking for potential problems before you experience a break resulting in water damage. In many cases, especially with heaters that have been in use for a while, settlement can get into the unit and settle. As this material is stirred, or in some cases as water is pushed through deposits, noises make can occur. A professional can perform a water heater flush to help correct this problem. Another source of sound from your water heater could be the fact that the heating element isn't fully secured. As water moves around the tank it can cause vibrations in the element which can lead to a possible humming sound. Calling a professional to properly tighten the heating element may help to correct the problem. One noise common to water heaters is a high-pitched whistling type sound. In many cases this is caused when water is forced through a partially open valve, much the way steam tries to escape through the tiny opening in a teapot. In many cases you can look at your heater to ensure that all the valves are properly open in order to correct the sound. 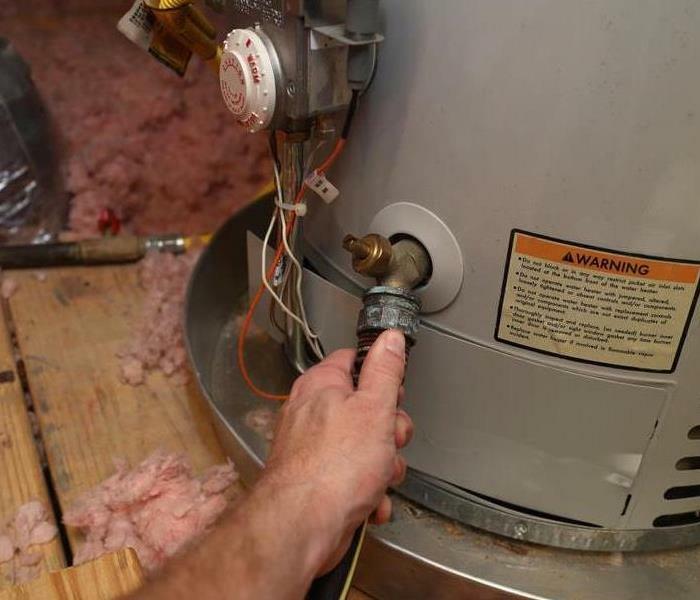 When inspecting your water heater for the source of any unusual noises, try looking to see if there is an improperly open valve, a loose heating element, or any sediment inside the unit. The professional can perform a flush of your heating unit in order to clean out any of the elements, as well as replace or repair any damage parts. SERVPRO of Northwest St. Louis County is excited to be a part of helping children in Kenya. Kevin and Rachel Thole, along with others decided to pursue buying land and constructing a building for 18 children. With this facility there are opportunities to provide ongoing support and resources. This has been an incredible opportunity to serve and help so many in need. Prevention is the best way to avoid large-scale mold damage in your home. Mold exists everywhere. It's in the air, in the soil, and on surfaces you touch every day. When you walk into your home, you're almost certainly carrying new spores into the house. 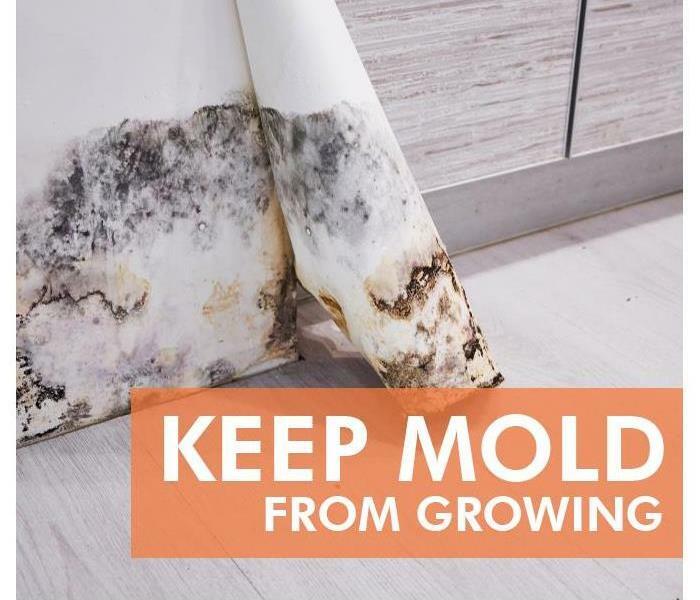 Although molds have existed on earth for millions of years, you probably don't want to encourage their growth in your own home. Naturally, you'll worry about cleaning up water damage, but for the best protection, you need to know where it's likely to develop into colonies, how to prevent mold growth, and how to treat existing colonies. 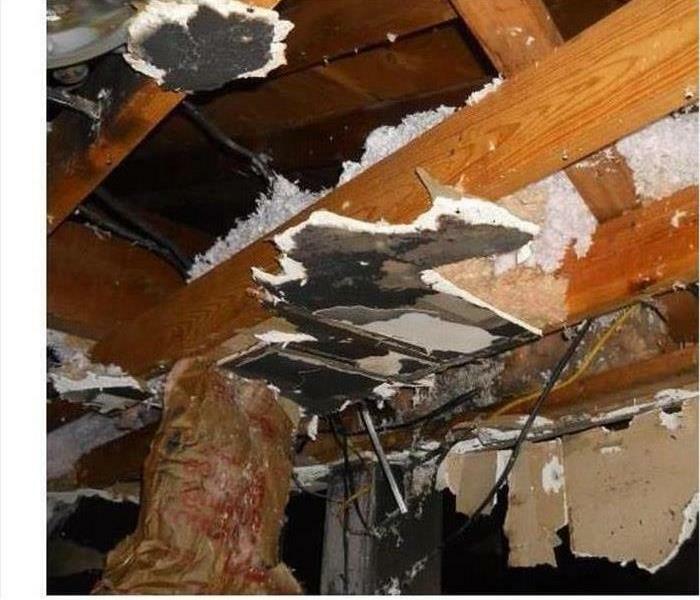 A burst pipe in the basement attracts a lot of attention and cleanup, but a sweaty concrete crawlspace is as susceptible to water damage and the growth of mold. When you do find mold growth in the home, you have two choices to resolve the problem. You can either clean it up yourself or you can contact mold remediation professionals. According to the CDC, if the affected area is less than ten square feet and if you cannot smell the mold, you can do the cleanup yourself. Otherwise, you should contact professionals. Remember to reduce humidity, check out-of-the-way spots, and complete routine home maintenance to protect your Chesterfield, MO home and family from mold and water damage. Your work today could prevent expensive repairs tomorrow. How Do Experts Restore a Residence After a Fire? A fire may result in minor to severe damage at a residence in Chesterfield, MO. Homeowners should contact mitigation and restoration experts as soon as possible and schedule a consultation to prevent damage from worsening. Mitigation can begin after the assessment. A one-stop fire restoration company can support homeowners throughout the damage remediation process. A mitigation and restoration company can provide all of these services. Experts should be able to provide a verbal briefing within eight hours and follow up with an estimate and timeline. All of these steps can clear the way for a successful restoration once the affected area is dry. Professionals may provide additional ventilation or dehumidifiers to accelerate the drying process. 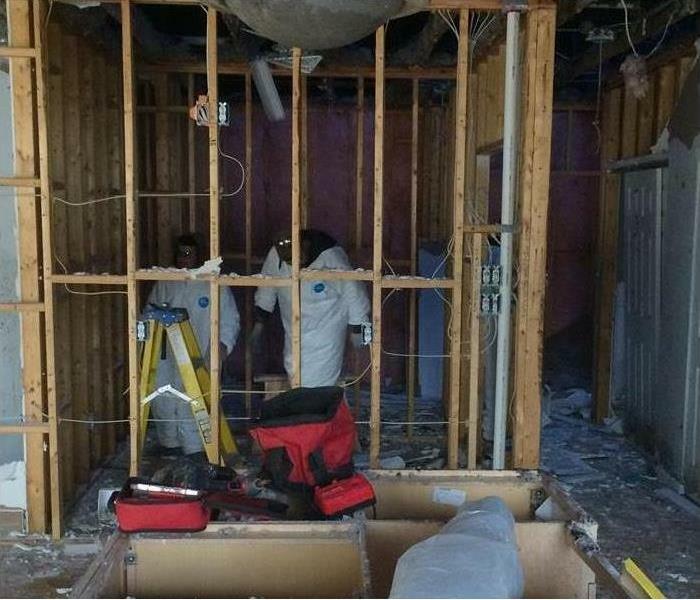 The final stage of fire damage remediation involves rebuilding services. Restoration professionals may replace any torn out materials and take additional measures to prevent smoke damage from surfacing on repainted walls. Cleaned contents can be returned to the location once this phase is complete. All of these stages are necessary to complete a fire restoration project. For the best results, homeowners should rely on experienced professionals in Chesterfield, MO. Experts can accurately assess damage, ensure that mitigation is handled properly and complete a fire rebuild. An all-in-one mitigation and restoration company can complete this process as quickly as possible and will stand by the quality of all work done. 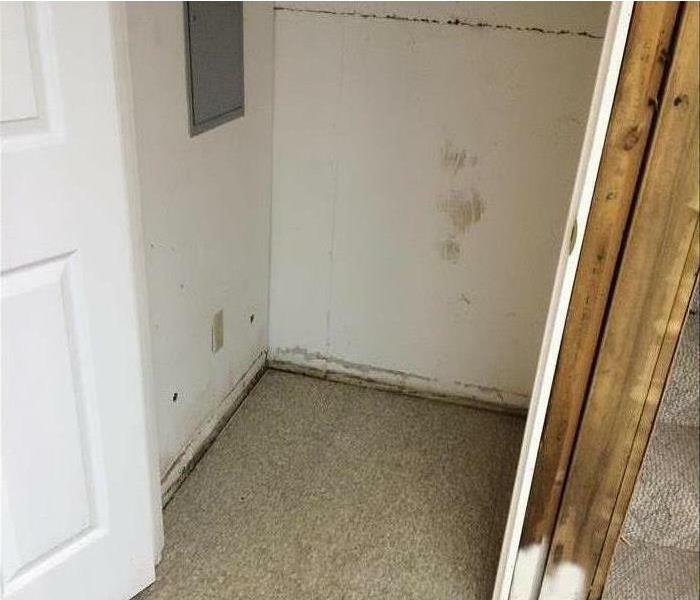 If you have water in your home, what could be the results of the water damage? 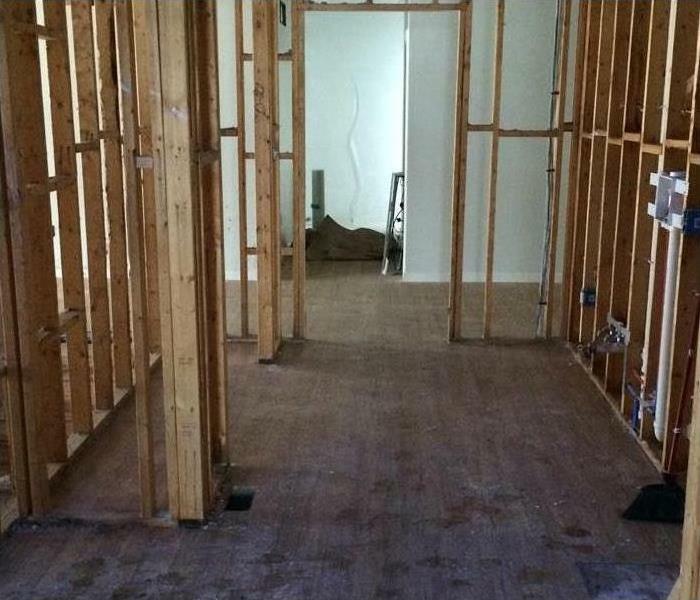 If you have flood damage that has left you with water in your business, what can you do? Mitigation of the water cleanup is of the utmost importance if you ever want to succeed in a water damage restoration. Here are some tips to keep safe and get to the drying with air movement as quickly as possible. Safety should be your first thought if the water in your home is causing serious water damage. Any electricity should be shut off to avoid any electrocution. If flood damage has left water in your business, evacuate anyone quickly. Customers should not be present during the water cleanup phase. When removing items with water damage, be aware that they are full of water and heavy. Mitigation is important but keeping your safety is a higher priority. You can easily strain yourself while moving an object full of water in your home. Products ruined by water in your business may need to be saved to show your insurance company. Your water cleanup project requires the use of different tools depending on how much water damage has been done. A pump, a shop vac, or a mop should be able to deal with any size problem including flood damage. Once you've removed as much water as you can, you can begin drying out the water damage. By opening up all of the doors and windows on a day that is not humid, you can use the air movement to speed up the drying process. If it is humid outside, you can turn on the air conditioner to help with drying. You can create much more air movement by using high-powered fans. These can be positioned as to aid the most areas of water in the home. Water damage restoration can be completed once all the water has been removed and everything has finished drying. Mitigation can now be directed toward your water damage restoration project. If the water in your business has been cleaned sufficiently, you can open your doors back up to the public. 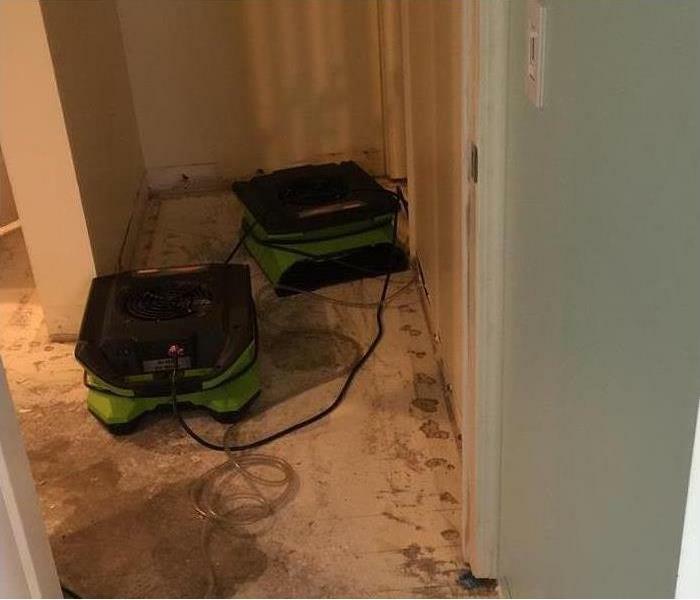 It isn't too complicated to try and fix flood damage yourself, but you may be happier that you called a company who deals with the mitigation of water damage, and the effects. After they stop the flood damage from causing any more problems you can likely hire them to do the water damage restoration that will make you place look new again. Contact someone as soon as you see any water damage in your home. Visit http://www.SERVPROnorthweststlouiscounty.com for more information on water damage. If a disaster ever strikes your company in Creve Coeur, MO, having a plan in place will make it much easier for your business to recover. In the event of an emergency, your employees and customers will be counting on you to quickly get back in business. Be proactive in securing your business by taking these five essential disaster preparedness steps. This first step in preparing your company for a potential disaster is to identify what types of disasters are likely to affect your company. While some threats, like an active shooter or gas leak can happen anywhere, natural disasters like tornadoes and hurricanes are specific to different regions. Develop a business preparedness plan for the different types of disasters you have identified. While evacuation might be appropriate for some events, others might call for a different line of action. Develop plans for each of the major scenarios, educate your employees, and perform drills regularly. It is a good idea to set aside an emergency budget for disaster preparedness that can be used to help your business recover in the case of a catastrophe. If you are not prepared financially for the event, it may delay the recovery process or put you in a rough spot. It is extremely important you know what your insurance covers for different types of emergencies. Depending on what kinds of disasters you identified as a threat, you might need to add an extra disaster coverage policy onto your plan. Make the recovery process a lot easier on the day a disaster strikes by already completing your research on what restoration company offers the services you need and which emergencies are covered by your insurance ahead of time. Practice disaster preparedness in your workplace to ensure that if a disaster does strike, you’ll already know exactly what steps to take to protect your employees and start the recovery process! What Should Be Thrown Away After a Fire? So, what should you throw away after a fire? That really comes down to your personal safety, which can be divided into two categories: things you eat and things you put on your body. Sometimes, food in the refrigerator is spared from the smoke and high heat, but remember to make sure the food wasn’t sitting for more than two hours at a temperature of 40 degrees or more. If it was, throw it out! There are many products people use that may have an impact through body contact or absorption. Here are some things you should throw away if they were exposed to heat, smoke, soot or fire. Charred clothing should be thrown out since it would come in contact with your skin, but you may be able to salvage some smoke-damaged clothing through washing or dry-cleaning. When you have fire damage in your home, you can get help from fire restoration experts that will guide you through the cleanup and restoration process. Make sure you use extreme caution and throw out the items highlighted here if they have been exposed to smoke, soot, heat or water from the firefight. 2/18/2019 - How Do Experts Restore a Residence After a Fire? 2/5/2019 - What Should Be Thrown Away After a Fire?